These items have been selected by the Audiobus team because we've received positive reviews of them by our users and our team members over the last few years. Obviously, iPads are awesome and they're the go-to device for every mobile musician. We recommend getting at least a 64GB version, as 16GB is just way too little. Any of these is a good buy, with the iPad Mini and Air having roughly the same specs. The iPad Pro is far faster and also has more RAM than the other two, which helps with projects with high sample rates and large audio files. We do not recommend getting an iPod or iPhone for music apps as most of the good apps are either iPad only or have more options on the iPad. 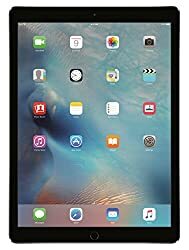 But if you feel like it, the latest iPod touch is a relatively cheap way to get into mobile music making making, and it's quite powerful, although it has a quite limited screen size. 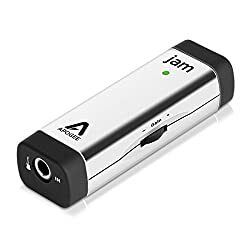 These things are a must for every iOS musicians because they allow you to connect any class compliant USB audio interface with your iPad. Apple's own Lightning to USB adapter (~ $30) (or Camera Connection Kit, as it was called in the past) is relatively expensive but works. It does not have any additional features. 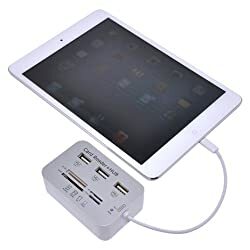 We rather like this 7 in 1 adapter (~ $15) that has three USB ports and a port to charge the connected USB Devices. It is not certified by Apple, which means you're going to get a pop-up message once you plug it in telling you that it's not certified (duh). It's new, it's shiny. You'll need one if you want to run your guitar through some effect apps. 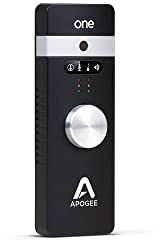 The One is one of the few audio interfaces that will actually charge your device when a power source is connected to the Apogee One. It also can run on batteries, so your iPad doesn't discharge so fast when on the go, but then it won't charge. Definitely something to consider if you're planning to jam while out in the wild. It's a bit on the expensive side though and according to Christopher Rice it 'it eats batteries like a censored censored snack'. Excellent if you're allergic to cables. Works like a charm with Loopy HD. Battery powered. 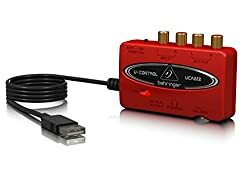 Cable based and with more triggers than the Blueboard. This one is the go-to pedal for live loopers. This is probably the most affordable audio interface for iPad. You will need a Lightning to USB Adapter for it. It's affordable and gives you a lot of flexibility for a relatively low price point. It's class compliant and comes with its own power supply. If you want to mix a whole band, this is how to do it. 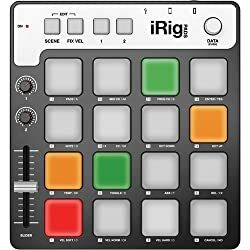 Another more affordable option for the mobile beatmaker. In case you don't already own a MIDI keyboard. Built like a tank and fun as hell little sequencer. Some of the softest pads you've ever seen on a controller like this and comes with its own Lightning cable. Oh hi! You're still reading this? Well, if you need more information on gear and other stuff, here are links to the old massive forum threads: Recommend an Interface and Guitar Interfaces. As suggested by some of you, I've closed this thread to keep it easily accessible (otherwise new readers would be sent to the last page of the discussion). If you have any questions about the hardware mentioned here or would like to add your own suggestions you can do so in this a separate thread.